It was the duty of the state government to protect the life of the doctor, the court said, adding that he was on duty and killing a doctor on duty amounts to a negation of the rule of law. Medical Dialogues had in 2016 had reported about the unfortunate demise Pediatrician Dr Sunil Kumar Singh who was attending to a child patient while being on OPD duty at Jashpur Government Hospital in Uttarakhand’s Udham Singh Nagar district. At this time, around 10.30 am in the morning, two motor cycle-borne assailants, reported being their mid-20s approached the Hospital. One of the assailants went inside and shot the doctor in the chest from point-blank range. The chief minister agreed to pay a compensation of Rs. 50 lakh but till date, only a sum of Rs. one lakh has been paid to the petitioner, the court noted. Petitioner’s husband died while discharging his official duties. Thus, the petitioner was entitled to extraordinary pension as per the Uttar Pradesh Civil Services (Extraordinary Pension) Rules, 1981, as amended from time to time. The stand taken by the respondent-State that the Rules are not applicable is not tenable. The purpose of framing these Rules is to help the family after the death of employee on duty. The Court can take judicial note of the fact that Doctors also risk their lives while performing their duties. 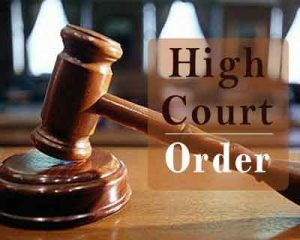 In the present case, the petitioner’s husband, in no manner,was responsible for the death of relatives of assailants. It is not that only the police officers are killed during discharge of official duties. The pensionary provisions are required to be construed liberally. Thus, the doctors or for that matter any government employee whose life is under threat while discharging the duties, will be covered within the ambit of Uttar Pradesh Civil Services (Extraordinary Pension) (First Amendment) Rules, 1981. “Keeping this and various other factors in mind, the court directs the state government to pay a compensation of Rs. 1.90 crore along with interest at the rate of 7.5 per cent per annum to the wife of the deceased,” the bench said. The state is also directed to award “extraordinary pension” to the petitioner as per the provisions of the Uttar Pradesh Civil Services (Extraordinary Pension) (First Amendment) Rules, 1981, as adopted by the State of Uttarakhand, within 10 weeks from today along with the arrears at the rate of 8.5 per cent per annum, it said. The doctor was posted at CHC, Jaspur, as a paediatrician when he was shot dead. An FIR was lodged at Jaspur police station by the Emergency Medical Officer, CHC, Jaspur. After much deliberation, the state chief secretary made a proposal to the chief minister on May 26, 2016 for grant of compensation of Rs. 50 lakh and appointment of Mr Kumar’s elder son as a lecturer in any polytechnic in Dehradun on permanent basis on compassionate grounds and a government accommodation for the doctor’s widow for a period of 5 years in Dehradun. The chief minister endorsed the proposal. However, the family has only been paid Rs. one lakh as compensation. Mr Kumar’s elder son was given compassionate appointment as a lecturer in Computer Science Department of State Polytechnic, Dehradun, on a contractual basis. Good to hear that the judiciary came to the rescue of the family of the deseased government doctor and sad to know that uttarakhand state government did not. What happened to the killers of the doctor? and at what stage the police investigation now ?.